A VDI deployment is a complex assignment with many moving parts. If you don’t plan properly, it could become too complex to manage and your expected ROI could disappear. 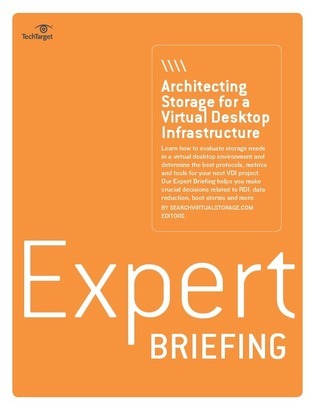 In this expert briefing, veteran IT industry consultant Chris Evans drills into the specific challenges that storage managers face when implementing virtual desktop infrastructures, and provides practical tips to help guarantee a VDI project that meets expectations and delivers on its projected ROI.